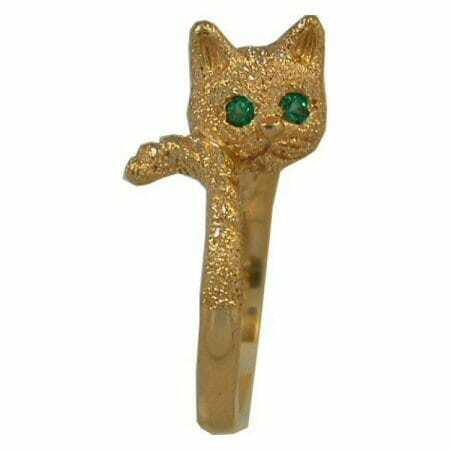 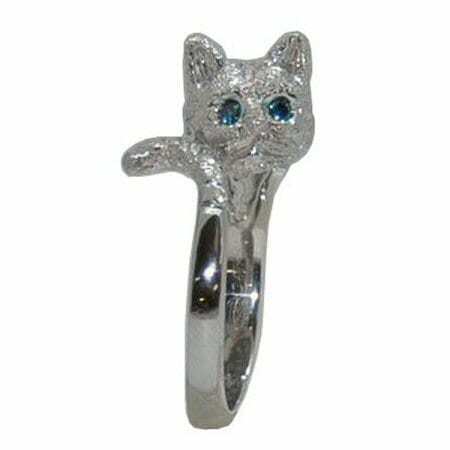 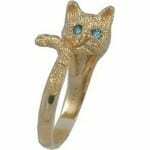 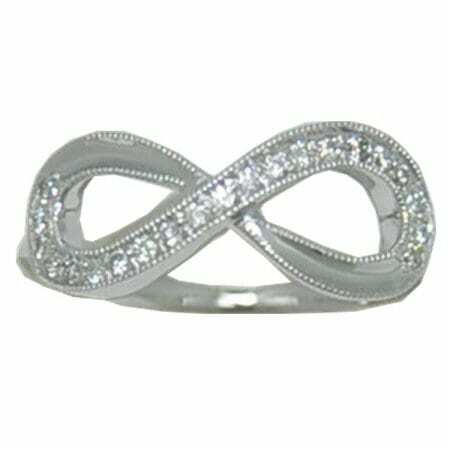 Sparkle Cat Ring available in 14 Karat White or Yellow Gold, by Gold In Art. 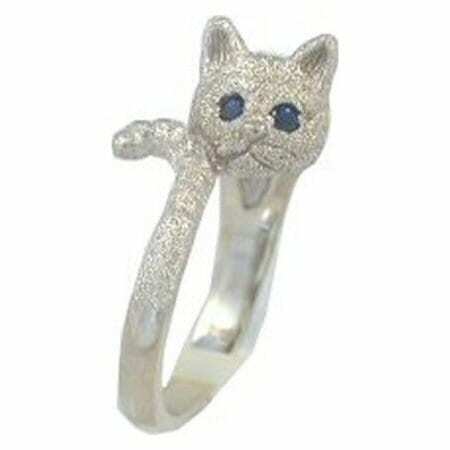 The white gold cat is available with natural blue sapphire eyes or irradiated blue diamond eyes weighing a total of 0.08 carats. 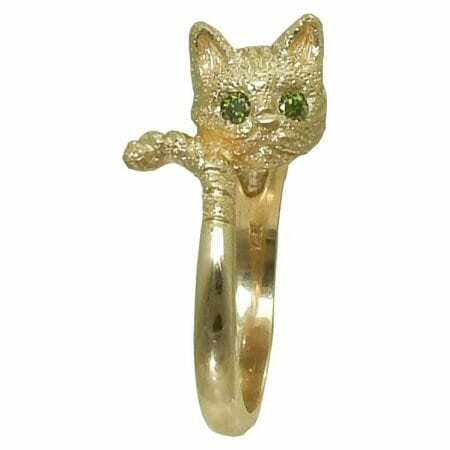 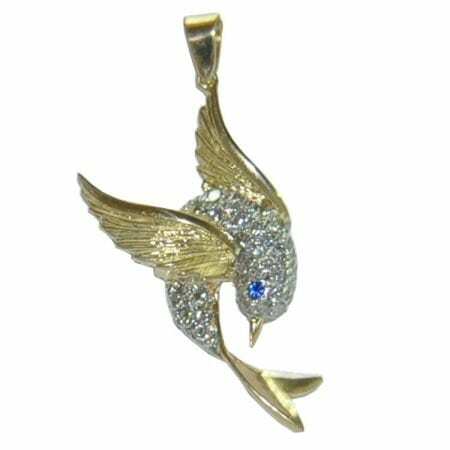 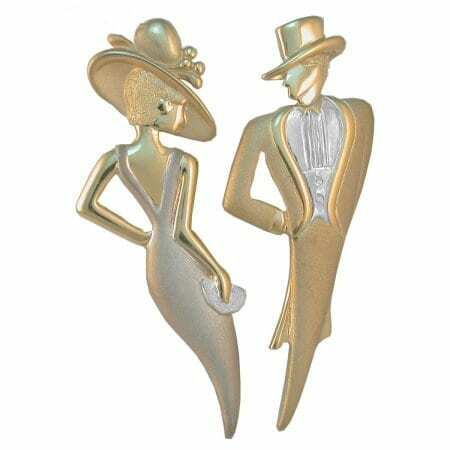 The yellow gold cat is available with irradiated green diamond eyes or irradiated blue diamond eyes weighing a total of 0.08 carats.